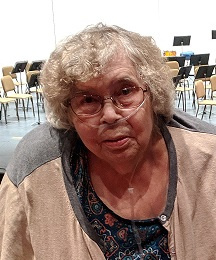 Marlene Jean Horan, 82, of Stanley passed away on Friday February 8, 2019 at MercyOne Hospital in Oelwein, Iowa. Visitation will be from 4-7 pm on Tuesday February 12, 2019 at the Geilenfeld Funeral Home in Oelwein where there will be a Parish Rosary at 3:45 pm. Funeral services will begin at 11:00 am on Wednesday February 13, 2019 at Sacred Heart Catholic Church in Oelwein with Father Ray Atwood officiating. Burial will be in St. Peter Catholic Cemetery at Clermont, Iowa. A memorial fund has been established. Marlene was born on December 24, 1936 in Oelwein, Iowa the daughter of Leo and Iva Arlene (Meyer) Schmidtke. She graduated from the Stanley High School with the class of 1954 and then in 1956 she received her teaching certificate from Upper Iowa University in Fayette. In 1964 she went back to Upper Iowa to complete her 4-year degree graduating in 1966 with a BS in Elementary Education. She taught in Maynard, Postville, Ossian, Valley of Elgin, and Streamwood, IL school districts. Marlene was a teacher for over thirty years. She also worked as a nanny, and as a clerk at several different motels. Marlene loved to dance and while dancing at the Coliseum in Oelwein she met Frank. She was united in marriage with Francis “Frank” Horan on February 20, 1969 at St. Peters Catholic Church in Clermont. She enjoyed playing cards, bingo and pool, and her very cherished cats she has shared her love with over the years. Marlene touched many lives and will be dearly missed. She loved her 3 children more than any of them could understand. Her biggest pride and joy was her grandchildren, she thought the world of all of them. She is survived by her son Steve (Leslie) Horan of Hazleton; her daughters: Staci (Jeremy) Callahan of Cedar Rapids and Sondra (Anthony) Bloise of Hiawatha; seven grandchildren: Henry, Iversen “Ivy”, Marli, Tyler, Nicholas, Sienna and Johnathon; her sister and brother-in-law: Patricia and Gary Makovec of Nevada, IA. She was preceded in death by her husband Frank; her granddaughter Patricia Horan, and her brother and his wife, Leroy and Fern Schmidtke. My sympathy to all of you and your families on the passing of Mom. She was a wonderful woman. I have many memories spent at your house on the farm during our growing up years. Keep those memories alive to help you through this sad time. Steve and Family...So sorry to hear of your loss. Our condolences. Steve & family - so sorry for your loss. Marlene had been on my mind these past few days and then I saw she had passed. Sympathy to all of you. My heartfelt condolences to you. My condolences to the whole family. Prayers and blessings to all of you!! Steve and family.... So sorry for the loss of your mom and grandmother! Prayers are being sent. My deepest sympathy! Hugs and prayers!